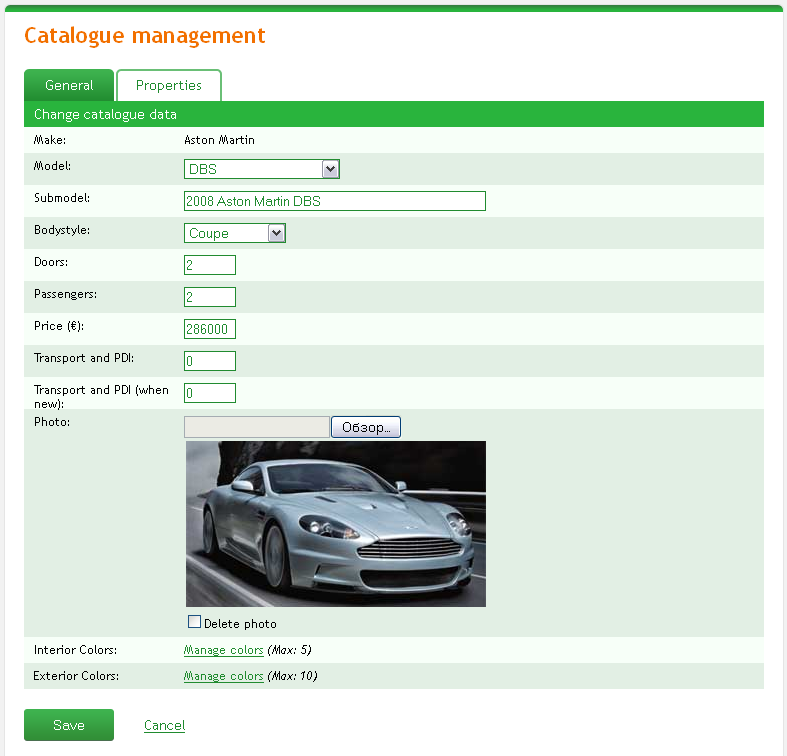 With the help of this section you can manage catalogue of car models and their characteristics. 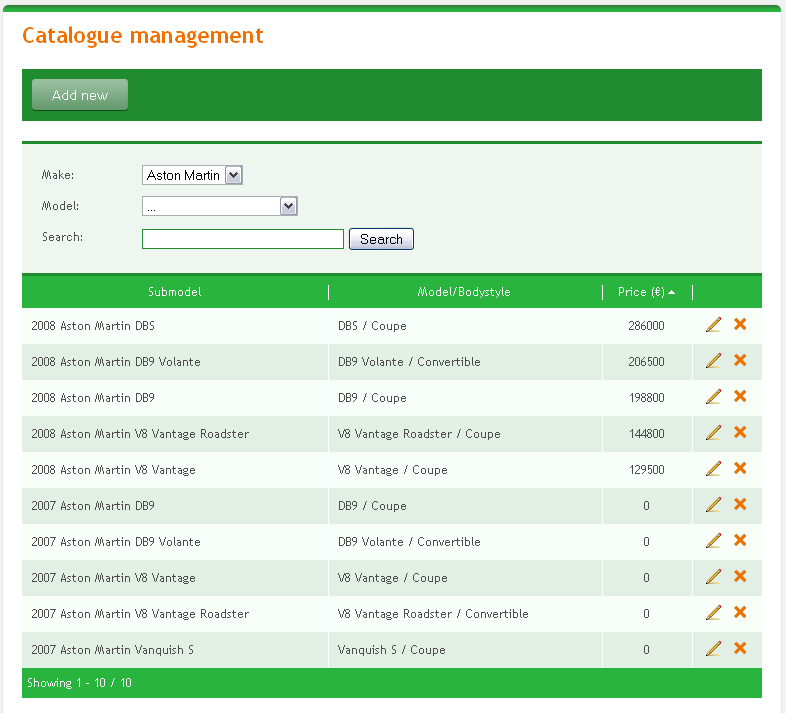 PG Auto Pro comes with pre-installed car models database. You can edit it, remove unnecessary items or add new ones. Each car model consists of some general information (make, model, bodystyle, colors, etc) and additional properties. Choose a property type in the drop-down menu to edit car model description. Car models properties can be edited too. 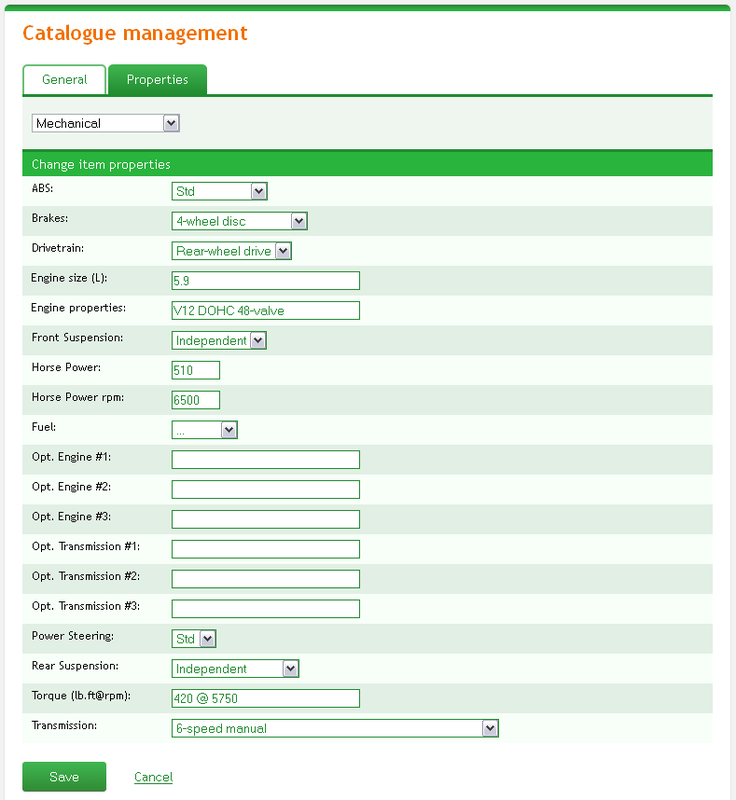 The management is available in System > Field editor > Fields section.